ALBANY — A Republican state senator from the Niagara Falls area and his predecessor pleaded not guilty on Thursday in a pair of schemes involving payments to a spouse and a former aide, the latest in a long line of corruption cases to emanate from New York State’s capital. 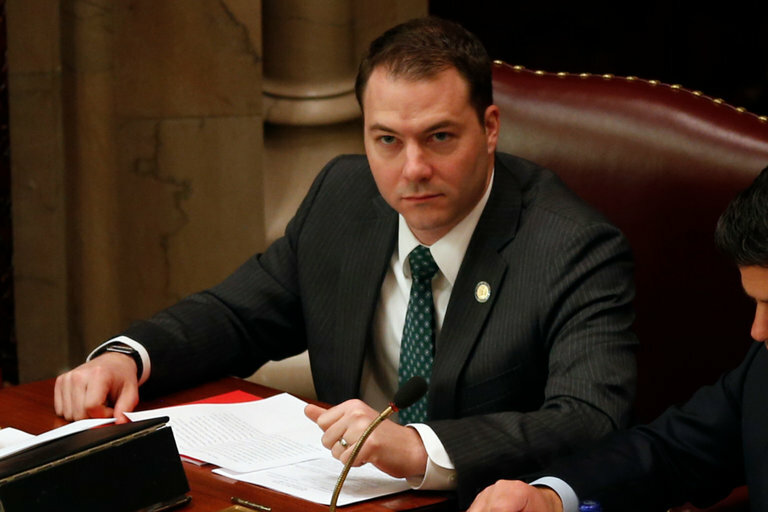 The senator, Robert G. Ortt, accused of being part of a plot to pad his own income by using a no-show job for his wife, was arraigned in the Albany County courtroom of Judge Peter Lynch. Mr. Ortt succeeded George D. Maziarz, a Republican who retired in 2014, who was also arraigned on Thursday on five felony counts of filing false campaign expenditure reports. Those reports were part of an illicit plan to funnel — and hide — nearly $100,000 in payments to a former aide who had left his job with Mr. Maziarz under the cloud of sexual harassment charges, according to the state attorney general Eric T. Schneiderman.